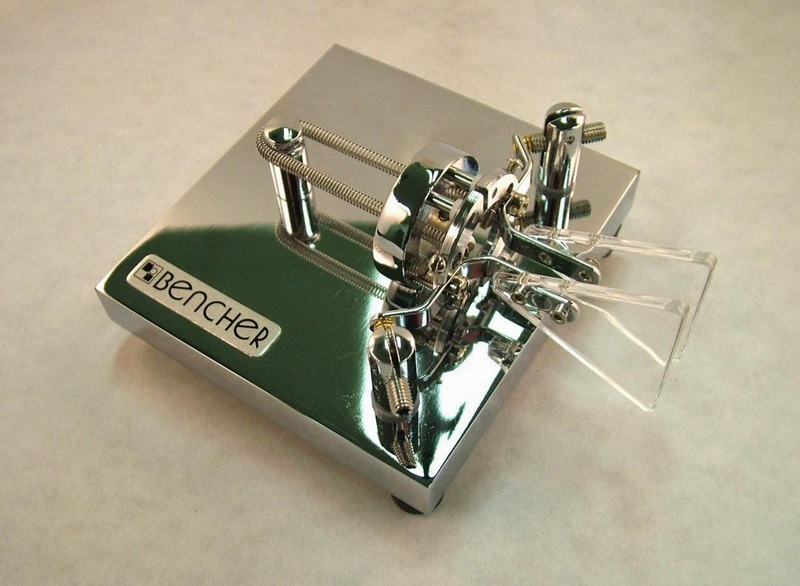 Bencher, Inc. of Antioch, Illinois, has announced the sale of the Bencher Amateur Radio product lines to Vibroplex, LLC of Knoxville, Tennessee. This sale ends Bencher’s presence in the amateur radio field. The product lines sold include the Bencher BY series of Iambic Paddles (the world’s best selling iambic paddle, with over 150,000 sold), as well as the ST series of single lever paddles, the Bencher Hex Paddle, the N2DAN Mercury Paddle, and the Bencher RJ series Hand Keys. Also included in the sale are the HK-1 Universal Hook-up kit and the YA-1 Low Pass Filter. Vibroplex has agreed to honor the manufacturer’s warranties of all covered products, and to offer parts and support for these products as well. Vibroplex will continue to offer the Bencher products through existing marketing channels.Vibroplex may be contacted at http://www.vibroplex.com, or at (865) 309-5073. The Dayton Amateur Radio Association has announced the winners of its 2015 Hamvention Awards. Noted contester Tim Duffy, K3LR, has been named Radio Amateur of the Year in recognition of his work as founder of Contest University, as well as moderating the Dayton antenna forum every year since 1984. This year's Special Achievement Award goes to Tom Medlin, W5KUB, in recognition of his 14 years of providing live streaming video on the Internet of various amateur radio events and activities, including the Dayton Hamvention. The 2015 Technical Excellence Award winner is the Rev. George Dobbs, G3RJV. Dobbs is a leading authority on low-power ham radio operating, founder of the G-QRP Club, longtime editor of its journal, SPRAT, and QRP columnist for multiple British radio magazines. Finally, the Orlando Amateur Radio Club was named as Club of the Year, in recognition of its wide variety of activities, including sponsorship of the annual Orlando Hamcation hamfest. All award winners will be honored at this year's Dayton Hamvention, May 15-17, in Dayon, Ohio. The ARRL-VEC reports that the ham radio population in the United States hit an all-time high of 726,725 as of the end of 2014, and has continued growing to more than 727,000 in the first two months of 2015. According to the ARRL Letter, ARRL-VEC Manager Maria Somma, AB1FM, said the number of licensed amateurs in the United States has grown by more than 8 percent in the past decade. In addition, she said, there were 33,000 new licensees in 2014, an increase of 15% over 2013. Plus, Somma added, the ARRL-VEC conducted a record 7216 license exam sessions last year, crossing the 7000 threshold for the first time. 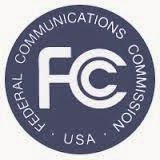 A bill to require the FCC to extend the “reasonable accommodation” requirements of its rules regarding amateur radio antennas and support structures to private land use contracts has been re-introduced in the U.S. House of Representatives. H.R. 1301, the Amateur Radio Parity Act of 2015, is identical to a previous bill that died at the end of the last Congressional session. 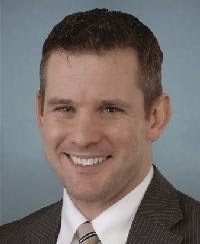 Introduced by Rep. Adam Kinzinger (R-IL) with bi-partisan support from a dozen co-sponsors, the bill would include homeowner association rules and deed restrictions (commonly known as CC&Rs) under the protections currently granted to amateurs from overly-restrictive state and local zoning laws and ordinances. Those protections include requirements that any restrictions on amateur antennas and support structures must “reasonably accommodate” amateur operation and must represent the “minimum practicable” restrictions to accomplish the regulatory authority’s legitimate purposes. The ARRL encourages all amateurs to urge their representatives in Congress to support and/or co-sponsor the new bill. A team of contesters believes it may have broken new ground with a remote multi-op effort in February’s ARRL DX Contest CW weekend. A half-dozen different hams operated contest station K4VV in northern Virginia (using the call sign K3TN) from several different locations scattered from Maryland to Florida. According to the ARRL Letter, members of the group each activated the contest station from their homes in Virginia and North Carolina, while one started the competition from his home in Maryland and finished the weekend at his condo in Florida. It was pointed out that, due to a snowstorm, the K4VV station was inaccessible during the contest weekend. The ARRL is looking for member comments on a variety of proposals aimed at limiting the frequencies on which wideband digital modes are permitted and expanding the HF operating privileges available to Novices and Technicians. Some of the proposed changes would affect only the voluntary band plans that informally structure the HF amateur allocations. 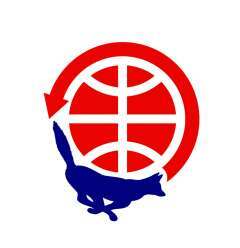 Others – such as expanding the CW/data/RTTY subband on 80 meters or granting RTTY/data privileges to Techs and Novices on 80 and 15 meters – would involve petitioning the FCC for rule changes. Details of the proposed changes and a form for submitting comments may be found on the ARRL website at < www.arrl.org >. Member comments are due by April 19. The ARRL reports that it has obtained an internal FCC memo in which the Enforcement Bureau lays out plans to ask the full Commission to close two-thirds of its field offices and to cut in half the current number of field agents. In their place, the bureau is proposing the formation of flexible “Tiger Team” strike forces that could be deployed as needed to deal with enforcement issues. ARRL CEO Dave Sumner, K1ZZ, was troubled by the plan, noting that enforcement already appears to be a low priority at the FCC and that reducing its “geographic footprint and number of field agents” is the wrong path to follow. Working under the reorganization rules of Chapter 11 of the federal bankruptcy laws, RadioShack reportedly has reached an agreement with General Wireless, Inc. to purchase as many as 2400 its 4000+ company-owned stores. Many others will be closed. According to the ARRL Letter, General Wireless – which is affiliated with RadioShack creditor Standard General – has reached an agreement in principle with to open “store within a store” Sprint wireless retail locations in up to 1750 of its newly acquired RadioShack stores. There is no indication of whether these stores would continue to operate under the RadioShack name or if they would continue to sell electronic components and other products favored by hobbyists. The MITRE Corporation has an FCC experimental license to test wideband communication techniques on a variety of HF frequencies between 2.5 and 16 MHz. The ARRL Letter reports that ARRL Chief Counsel Chris Imlay, W3KD, has sent the company a letter asking that it either structure its tests to avoid HF amateur bands or, at minimum, to provide advance notice of times and frequencies of planned transmissions. The ARRL’s concern, according to the Letter, is that “with the operating parameters proposed, it will be impossible to conduct your tests … within the Amateur Radio allocations and … avoid harmful interference.” A further concern is that due to the nature of the transmissions, “amateur licensees will have no way to determine the source of the interference or know to whom they might complain.” At press time, there had been no response from MITRE. A group of hams in Germany has received a license to operate a shortwave broadcast station on the 49-meter band frequency abandoned two years ago by that country’s premier international broadcaster, Deutsche Welle. “Channel 292” is now broadcasting around ten hours a day, generally from about 0700-1700 UTC, on 6070 kHz, using a 10-kilowatt transmitter built partially from parts of the old 500-kW Deutsche Welle transmitter and a dipole antenna. The station’s signal covers much of western Europe, but has also been heard in Russia and North America, according to the ARRL Letter. Privately owned by a group of German hams, the station has a business relationship with Germany’s national ham radio organization, the Deutscher Amateur Radio Club, and is also known as DARC Radio. The DARC produces a weekly ham-oriented magazine show in German. The ARRL Letter reports that the Radio Society of Great Britain has expressed interest in contributing English-language segments. Other programming on the station is leased, with programs airing in a variety of languages. Reception reports will be QSLed via the DARC outgoing QSL bureau. For more information, visit http://www.channel292.de. 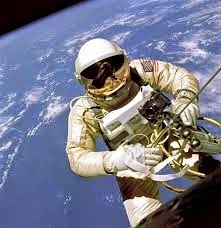 Imagine having your “sked” delayed by a spacewalk! That’s exactly what happened to a school group in Florida that was scheduled to have an Amateur Radio on the International Space Station (ARISS) contact on February 25. A series of spacewalks in late February to prepare the station to dock with commercial U.S. rockets also resulted in a cutback of planned slow-scan TV transmissions from the station. According to the ARRL Letter, all ham transmissions are suspended for during spacewalks for crew safety. Speaking of ARISS, the program is now accepting applications for school contacts in the first half of 2016, with a focus on educational organizations with the potential to draw large numbers of participants and integrate the contact into a well-developed educational plan. The application deadline is April 15.
a tentative launch from California in late August of this year. The European Space Agency is offering a ride to deep space for as many as six small cubesats and is hosting a competition to select those projects that will be accepted. The AMSAT News Service says the small satellites will be launched in 2020 along with Asteroid Impact Mission. The judges are looking for projects that will “produce meaningful scientific return” from deep space. Finally, NASA is making available a collection of soundbites from space that are suitable for use as ringtones. Among the available files, according to the ARRL Letter, is one of the Juno spacecraft sending “HI” in Morse code during a flyby of Earth in 2013. The Intrepid-DX Group is the recipient of a $50,000 donation from the Northern California DX Foundation (NCDXF), in support of its planned DXpedition early next year to South Sandwich Island (VP8S) and South Georgia Island (VP8G) . The group anticipates that the 10-day visit to the two islands in the southern Atlantic Ocean will cost more than $400,000. They are British overseas territories and very high on most DXers’ most-wanted lists. The U.S. government is working on its proposals and positions for this year’s World Radiocommunication Conference (WRC-15). Among them is a proposal to add 600 MHz to the spectrum currently available to the Earth Exploration Satellite Service (EESS) in the vicinity of 10 GHz, also known as “X-band.” Amateur radio currently has a secondary allocation from 10.0-10.5 GHz, with a specified segment for the Amateur Satellite Service between 10.45 and 10.5 GHz. The ARRL Letter says the proposal would consider amateur satellites already in service at the time of the change to have co-equal status with the scientific satellites, but that any launched after that time would have secondary status. The ARRL has been involved in the discussions and is monitoring them closely.